I want to ride Kuya John’s Tricycle! 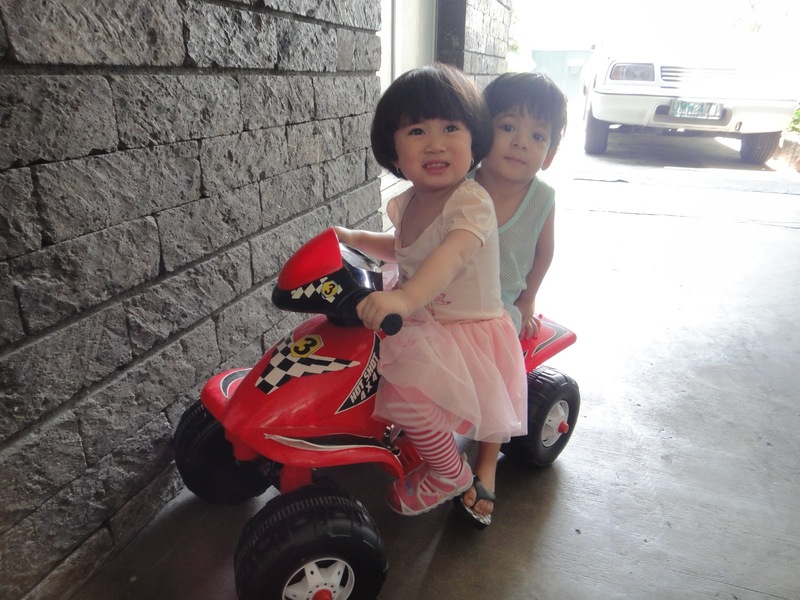 Iya rode a motorized tricycle with Kuya John her cousin. She is still learning how to maneuver so either lola Cel or myself controls the direction. Iya and John are good playmates because they take turns driving. This was taken during Iya’s turn.